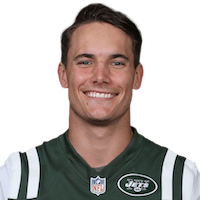 There is no recent news about Chad Hansen. Click here to access all the latest player news. 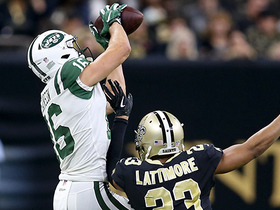 New York Jets quarterback Bryce Petty finds wide receiver Chad Hansen open for a 24-yard gain against the New Orleans Saints. 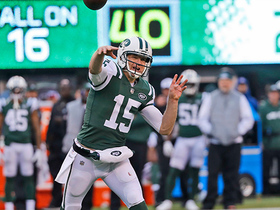 New York Jets quarterback Josh McCown throws a dart to an open wide receiver Chad Hansen for a first down. 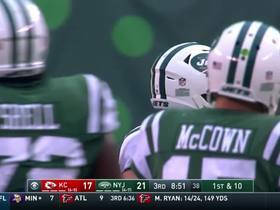 New York Jets quarterback Josh McCown finds wide receiver Chad Hansen open for the toss and a 13-yard gain against the Kansas City Chiefs. 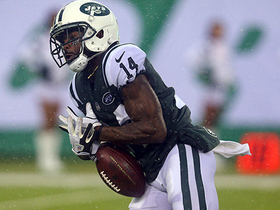 New York Jets wide receiver Jeremy Kerley fumbles punt and Atlanta Falcons safety Kemal Ishmael recovers on the 13 yard line. 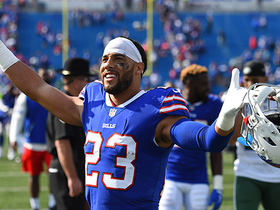 Buffalo Bills cornerback Micah Hyde intercepts Jets QB Josh McCown on the jump ball pass.